thing hole and powered it on I noticed there was a problem. The arbor bearings were bad. Took me a few days to figure out a good way to replace those. Finally I decided to use a bearing puller separator from Harbor Freight. Not that I wanted to but because they were the only ones that had a tool big enough and long enough to pull them off and pull the new bearing all the way on again. 2. This Product from In-Line Industries seems like a great idea. 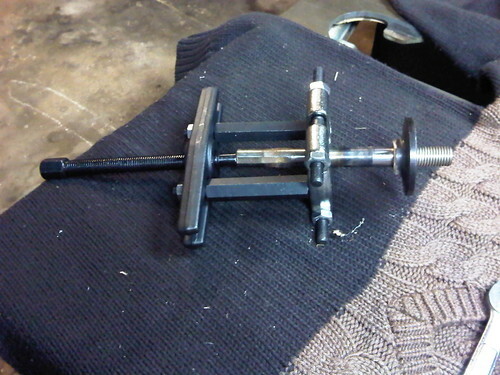 This is to micro adjust your trunnions to true the saw. 3. Again I used the switch from a craftsman product. 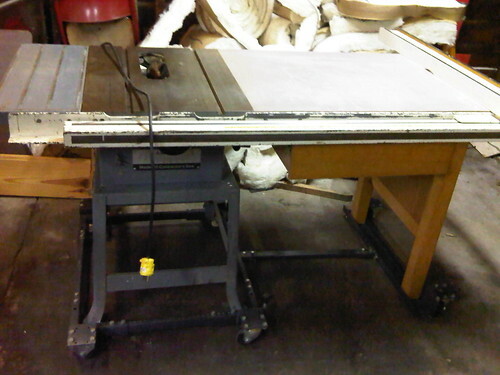 And to meet electrical requirements I got it out of a matching powered table saw. This also allows future 240 upgrade path. 4. This extension cord would house a box to power box Router and Table Saw (not at the same time of course) As this saw is in the middle of the garage, the cords provided are not long enough. Currently have dust hood mounted in the bottom of the TS. 7. 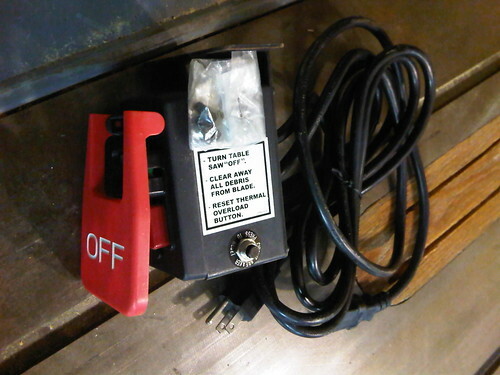 Found this on Rockler.com, Router safety switch HERE, but might just use another one of the craftsman switches. 8. 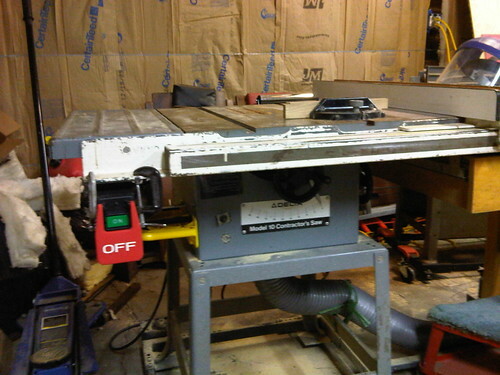 This Table Saw came with one drawer, thought i might copy it and add more storage, for more blades and router cabinet. 11. Lucky I found this at a local store or I might not have found the exact part. Since the switch I ordered came with a power cord, all I did was make an adapter for it to just plug in, that replacement cord had a standard computer plug, ripped one off a busted computer power supply and made an adapter and now up and running. Used C-claps to decide where I want to place the switch. Future upgrade as a new project will be to make a new base for this saw found in Shop Notes Vol #89, of course i have to change the design as this is a bigger fence and I want built in dust collection for both the TS and the router.